The semsemeya is an instrument that looks slightly like a cross between a harp and a guitar to the unfamiliar eye. The instrument originally comes from Upper Egypt, where it used to be much larger. In fact, the semsemeya ‘evolved’ from the tambura, which shares its signature triangular shape. When the work on the Suez Canal began in 1859, the tanbura travelled from somewhere South of Egypt along the new canal to the north eastern coast of the country. Since the tanbura is quite a large instrument to carry, it was difficult to transport during sea fare, bring into cafés and other smaller gatherings and so the instrument shrunk in size. 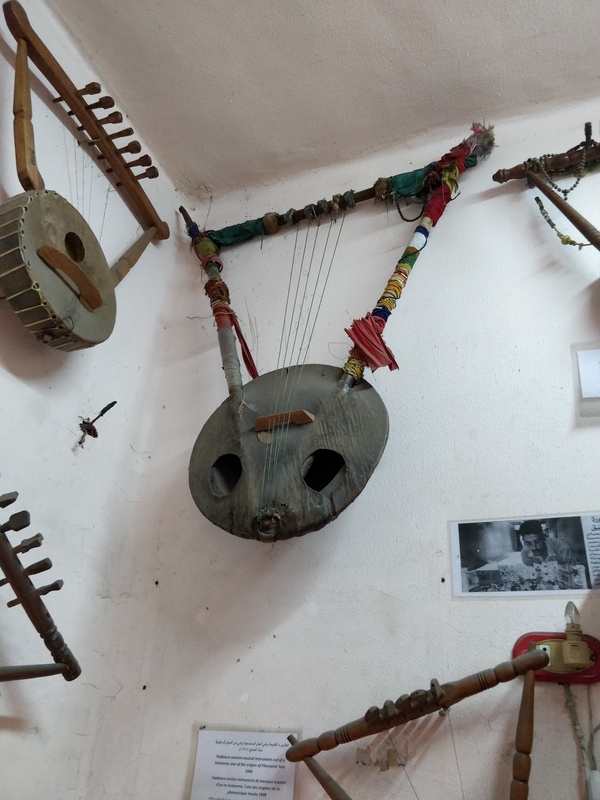 The semsemeya, however, is more than a smaller version of the tanbura; during its transformation, it also got tuning keys, earning it a whole other range of sounds. 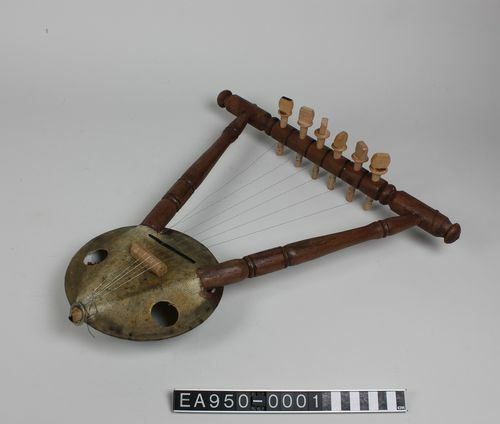 Since then, the instrument became quite popular in Egyptian folk music, especially in the cities along the Suez Canal. 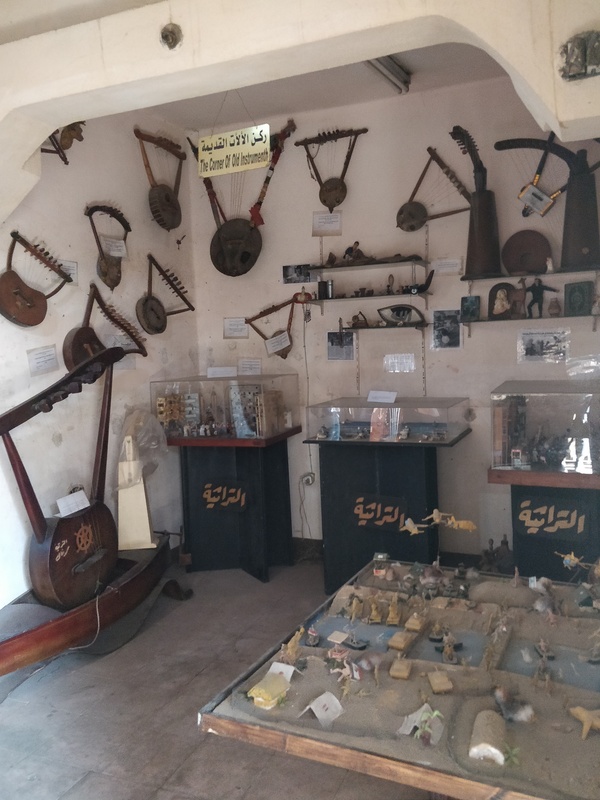 It is said that the semsemeyas were played during the construction of the canal and many songs that have been created for the instrument centre around the British Occupation of Egypt from 1882 to 1952. 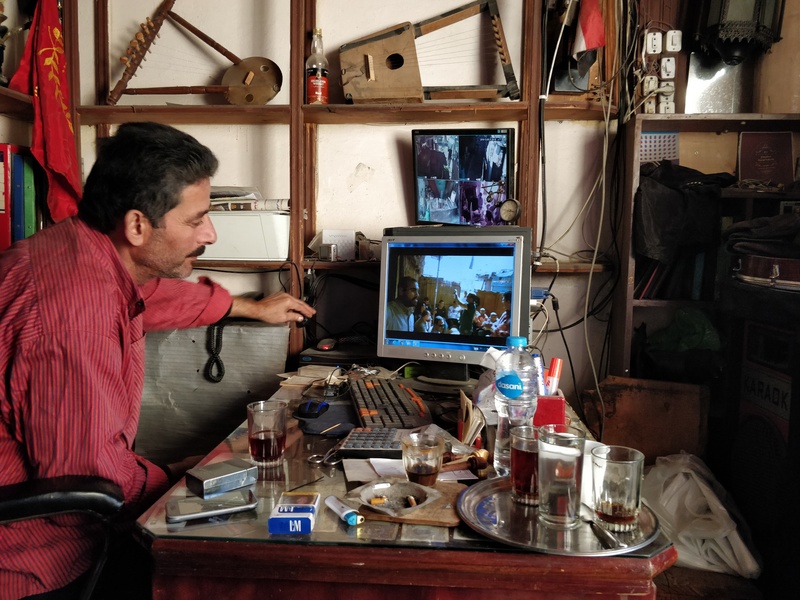 The semsemeya became especially popular in Port Said, where it became an instrument of recounting the struggles and history of the city. Such as the evacuation of the city during the Arab-Israeli war between 1967 and 1976. The semsemeya is not just exclusive to Egypt; it is also seen in other countries in the Middle East, primarily in the countries surrounding the Red Sea. The semsemeyas take on many different shapes and the material can vary greatly from all-wood to metal. The instrument is played by resting one of its sides on your leg. The strings are played with either your hands or al risha, the feather, which can be a piece of plastic, like the tiny piece collected alongside one of the semsemeyas at Moesgaard Museum. The semsemeyas above, two of the newest additions to the museum’s ethnographic collections, came from Port Said. More specifically, they came from the Semsemeya Museum in the ‘small’ coastal city. The Semsemeya Museum or Al Toratheya (lit. the heritage) is run by one of Egypt’s and possibly the world’s last few semsemeya makers, Mohamed Ghaly. 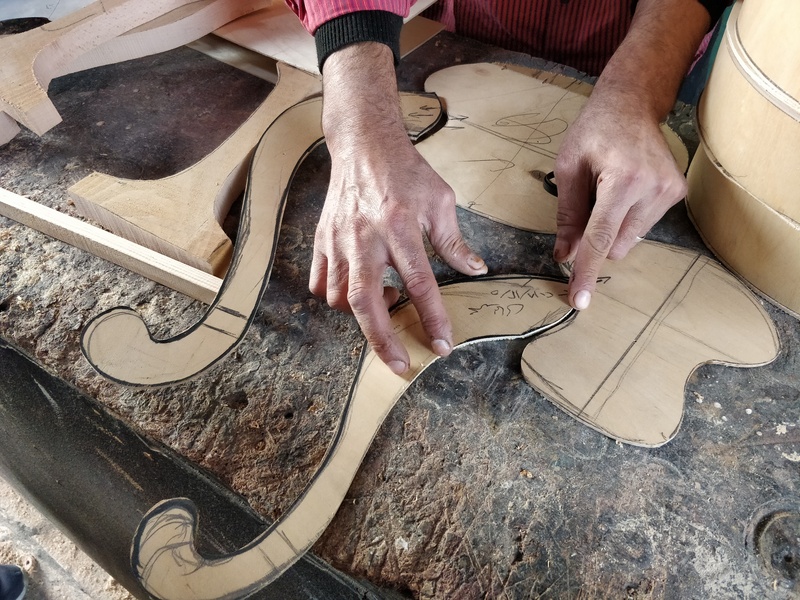 From his museum and workshop, he sells semsemeyas of all shapes and sizes to all who might be interested in learning the craft of building and playing the instrument. Back in the day, each musician knew how to make one themselves and thus each player’s instruments had their own unique styles. Now, fewer and fewer people know how to create the instrument. The two semsemeyas in the ethnographic collection are distinctively different, but both share the circular sound box and triangular shape. The smaller one, with six strings, is made of beech wood, goatskin and a metal plate. It is made by Asma’ and is sometimes sold to tourists, who can bring the instruments to far-off places and recount the stories of it. New semsemeya players also prefer the instruments with fewer strings as it takes great experience to handle more than even five strings. The goatskin semsemeya also sounds closer to its (contemporary) ancestor, the tanbura, with a very traditional and rural sound. The other semsemeya features sixteen strings and is therefore a better suit for the experienced musician. It is made completely out of wood and is sporting Ghaly’s signature dark coloured wood. Each semsemeya is branded with the names of either Ghaly or Asma’, but also the location of its creation – Port Said, Egypt. The sixteen stringed semsemeya also sports an anchor and rudder – symbols referring to Port Said’s ‘coat of arms’ and long history as a port city. On its back is a plug-in for a speaker, making it a semi acoustic instrument and invaluable to any folk band. Today, the instrument is not just evidence of the development of Middle Eastern music, but also a reminder of the Egypt’s more recent history that was part of shaping the country we know today. Musical instruments play a seminal part in telling the stories of not only their makers, but also the worlds which they inhabit. The semsemeya will continue to tell the stories of Port Said and now also in Moesgaard Museum’s ethnographic collections. 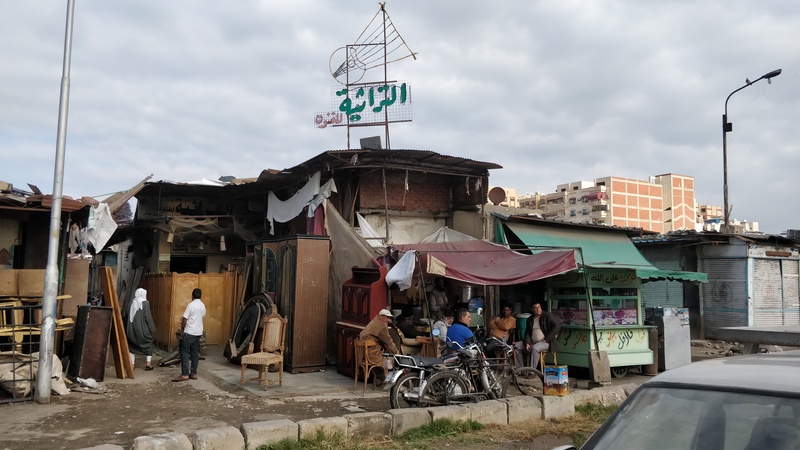 The neighbourhood in which Al Toratheya was located was cleared by the governorate the night of the 11th February 2019. 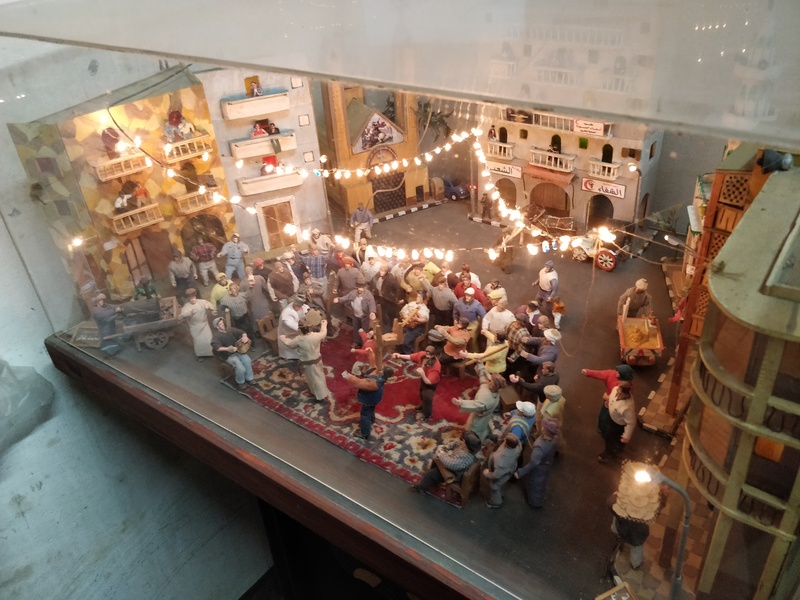 The future of the museum, Mohamed Ghaly and the semsemeyas have yet to be decided, but hopefully this can be a new beginning and not an end of the musical heritage of Port Said.